Blessed with an extraordinary voice, ValLimar Jansen is a highly regarded inspirational speaker, singer, composer and recording artist. She is also a college professor, a leader of worship and prayer, and a workshop presenter at conferences across the US and abroad. ValLimar has a long history of singing sacred music, starting from the age of five. She received most of her training in music and performance from Howard University in Washington, DC. She holds professional degrees in the arts from California State University, San Bernardino, and the University of California, Santa Barbara. ValLimar sings a broad range of styles from traditional to contemporary. In 2005, she released her first solo collection, You Gotta Move. Other collections include Anointing, Psalms from the Soul and Give God the Glory. Her most recent collection, Spirit & Soul, features popular contemporary songs from fellow Spirit & Song composers produced and sung with ValLimar’s signature style. 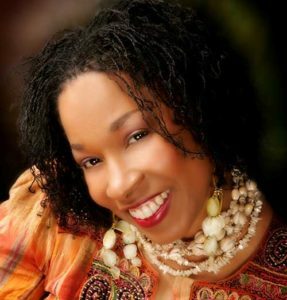 ValLimar tours regionally, nationally and internationally as an inspirational speaker, author, storyteller, psalmist, song leader, principal vocalist and emcee. ValLimar has been a keynote speaker and presenter at many major events. She is an excellent choice for concerts and faith formation workshops. She works with youth and educators on the subjects of music and liturgy. ValLimar composes much of her music with the help of her husband, Frank. They live in California and have three children. To learn more, click here.